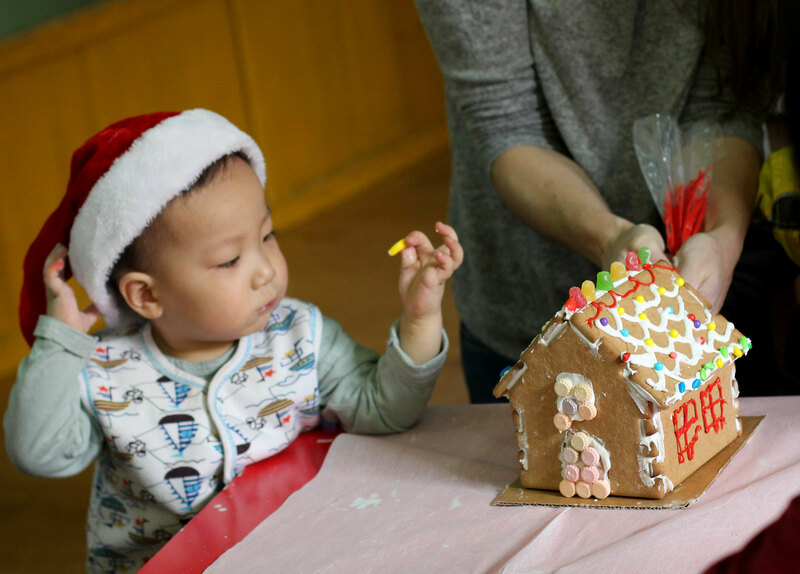 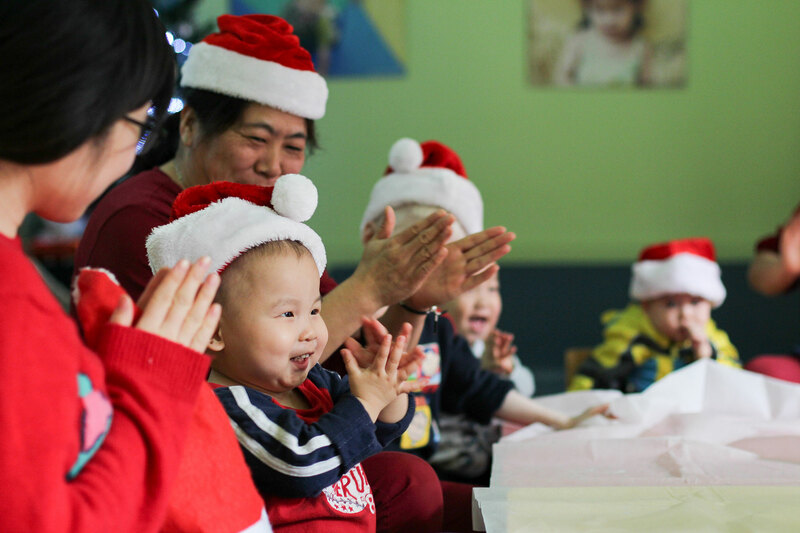 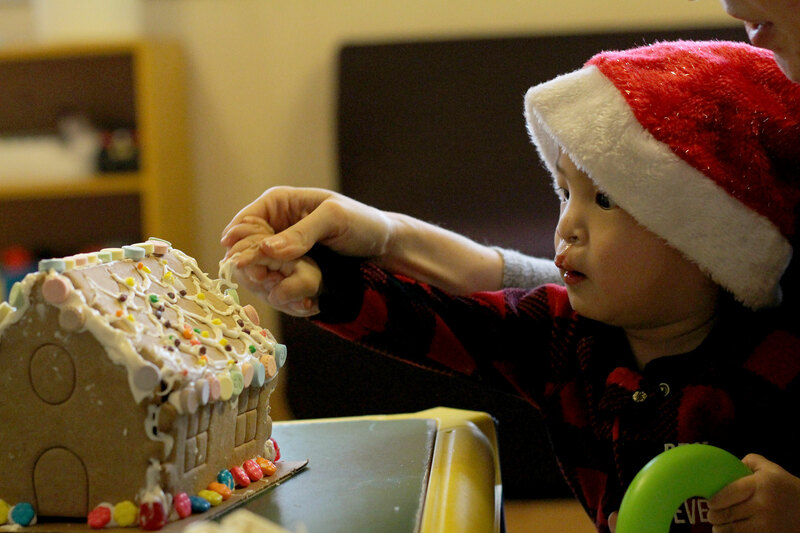 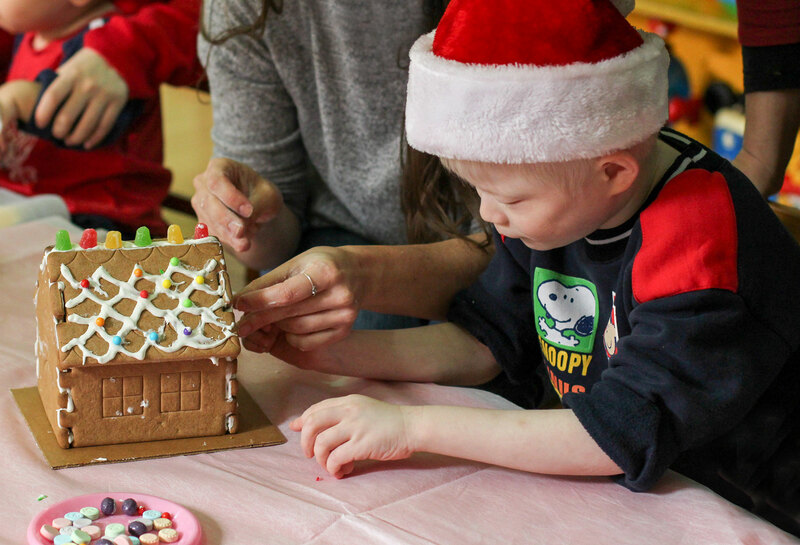 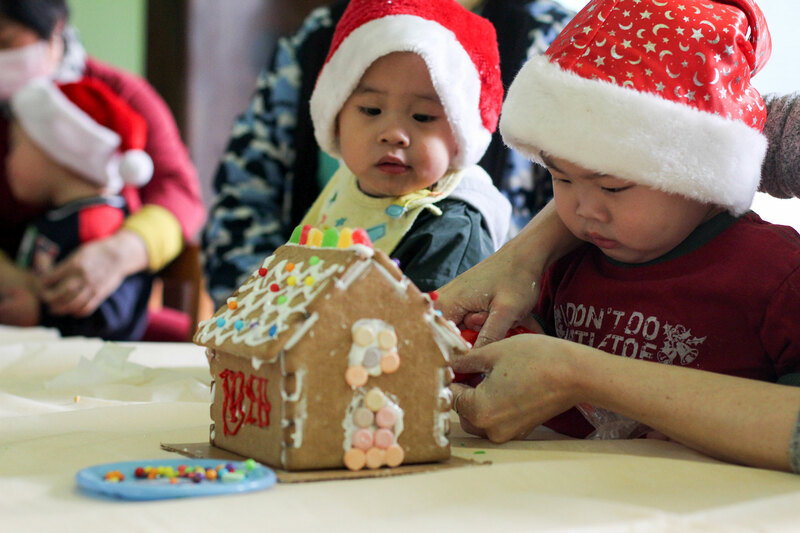 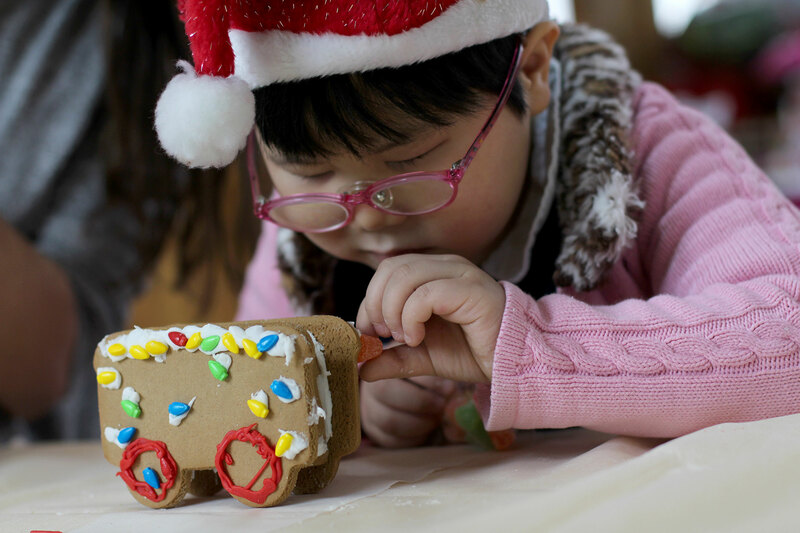 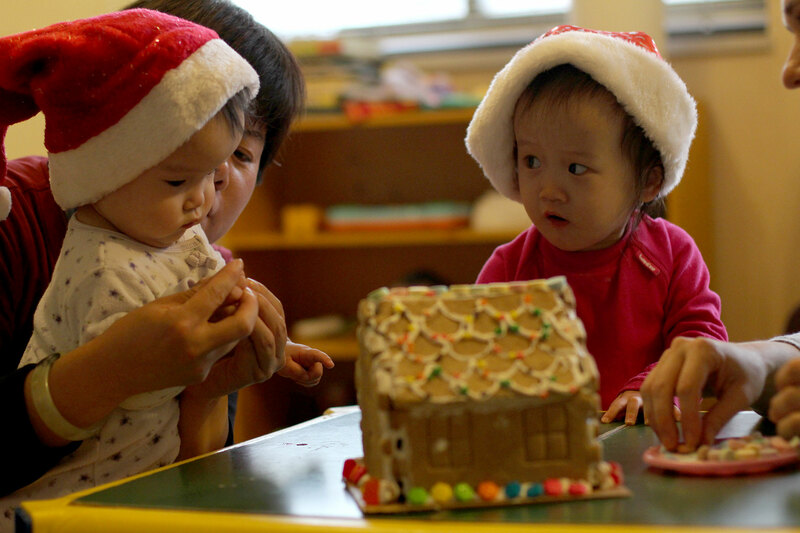 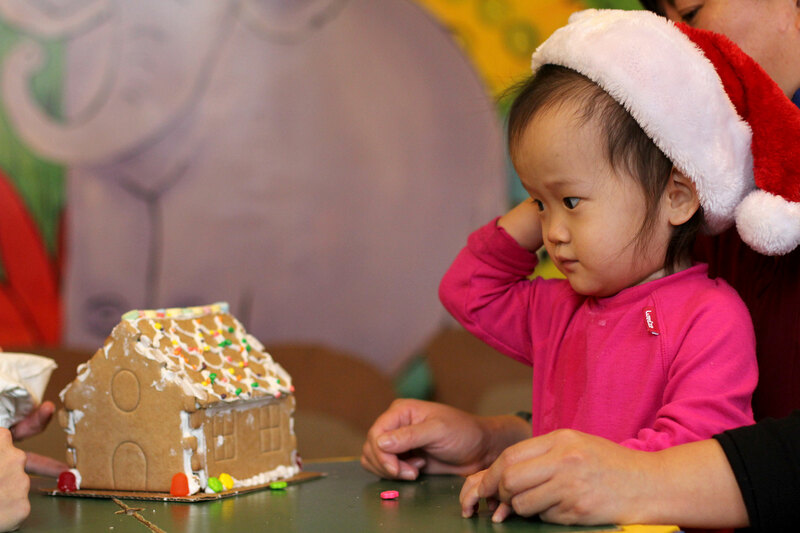 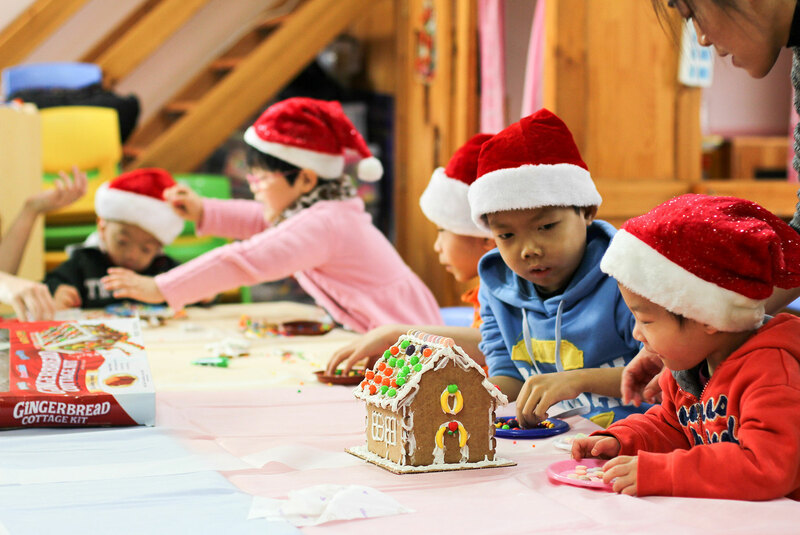 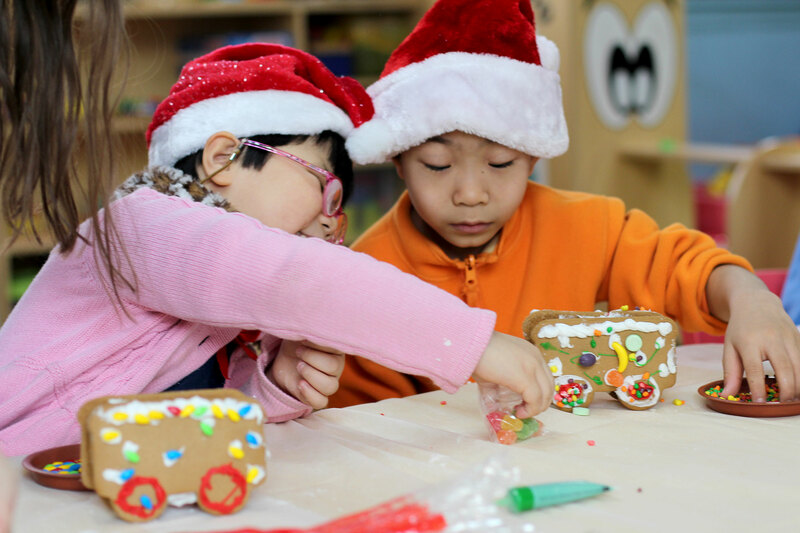 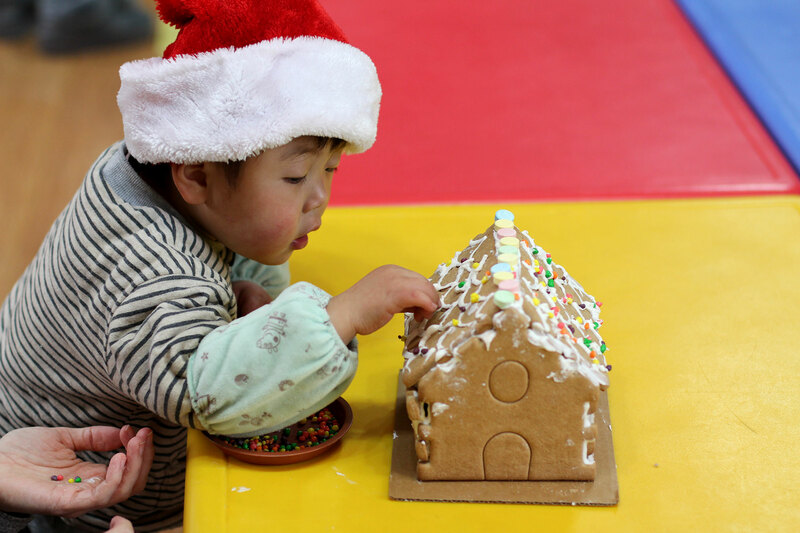 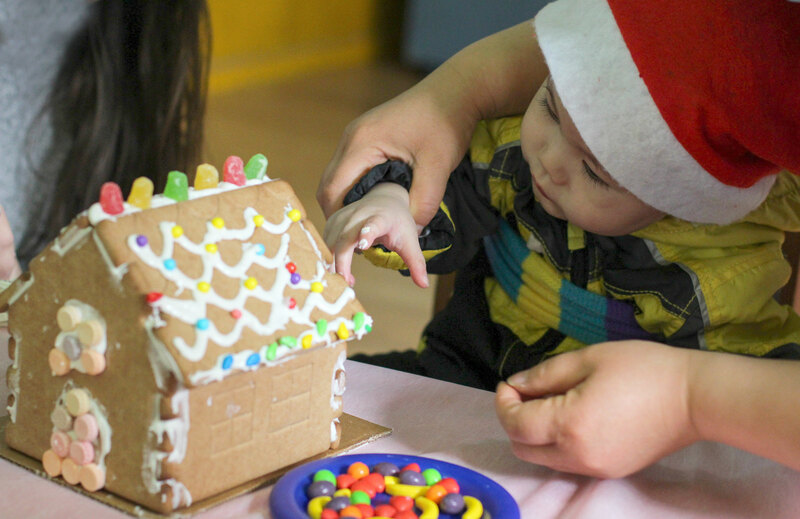 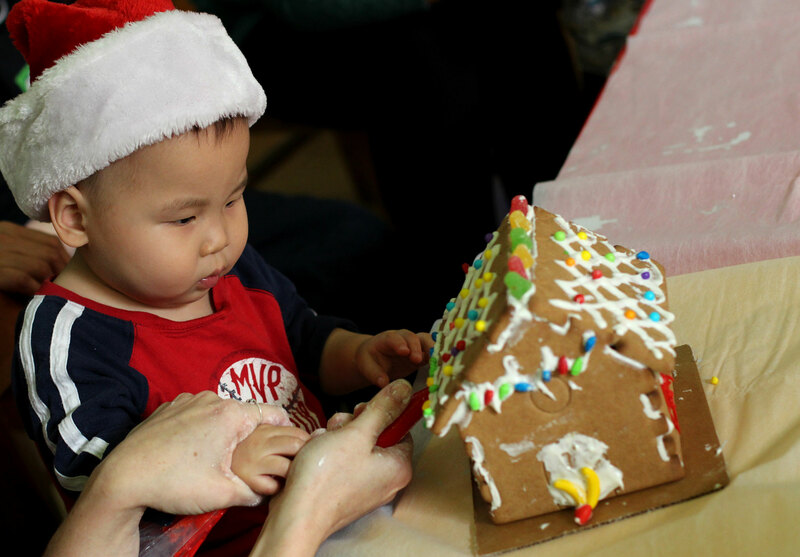 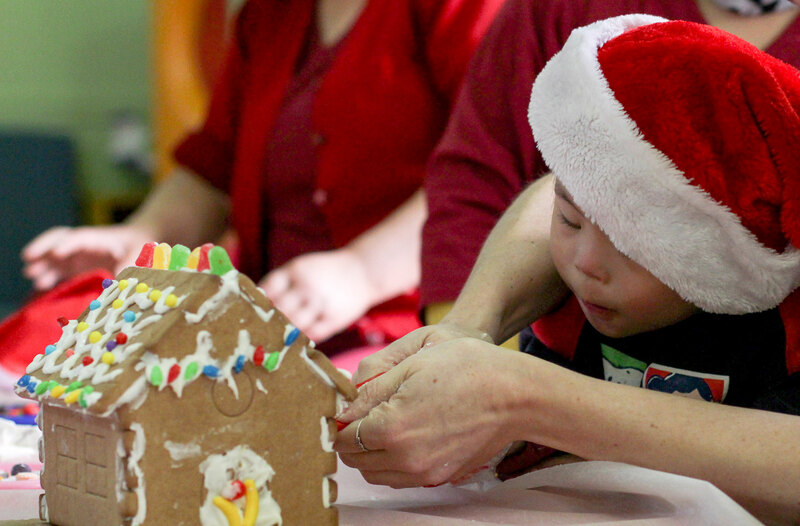 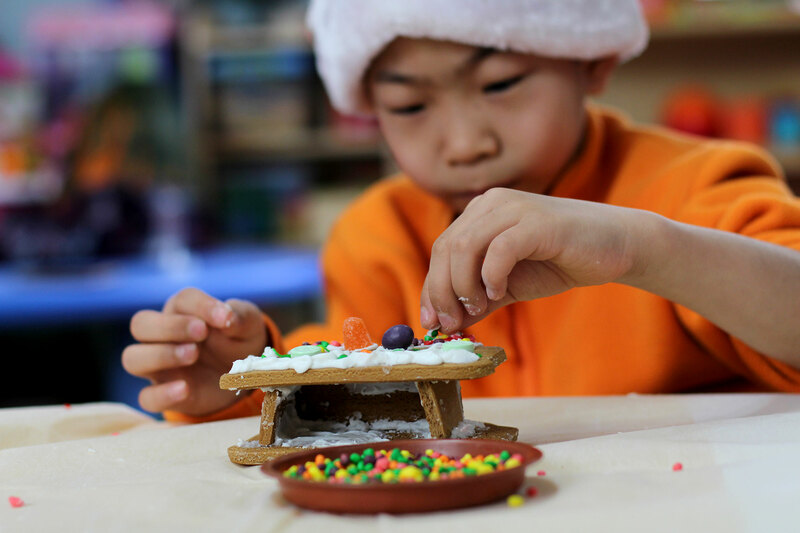 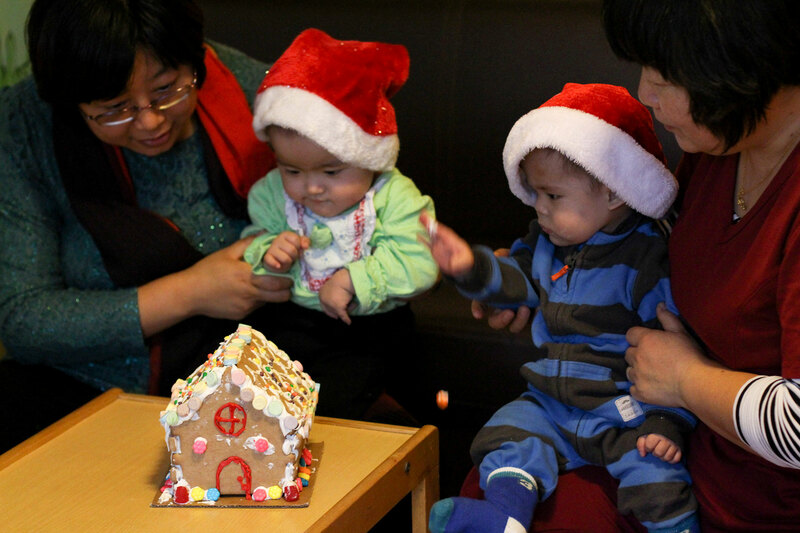 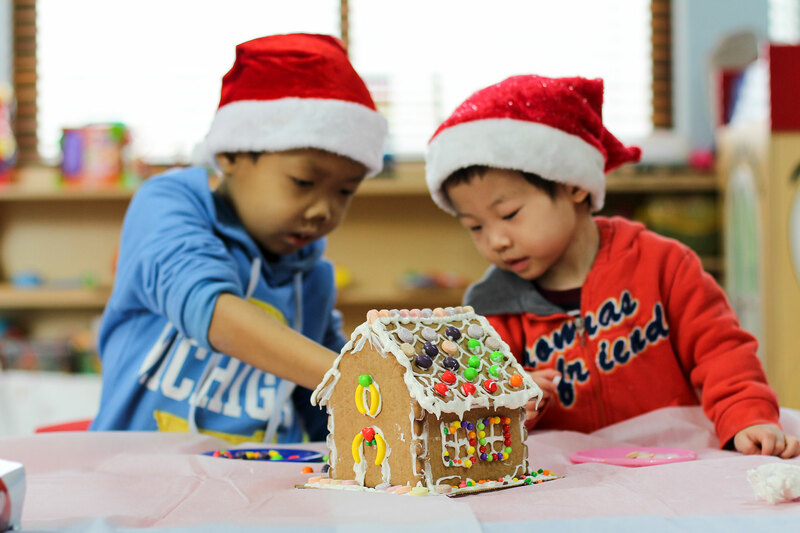 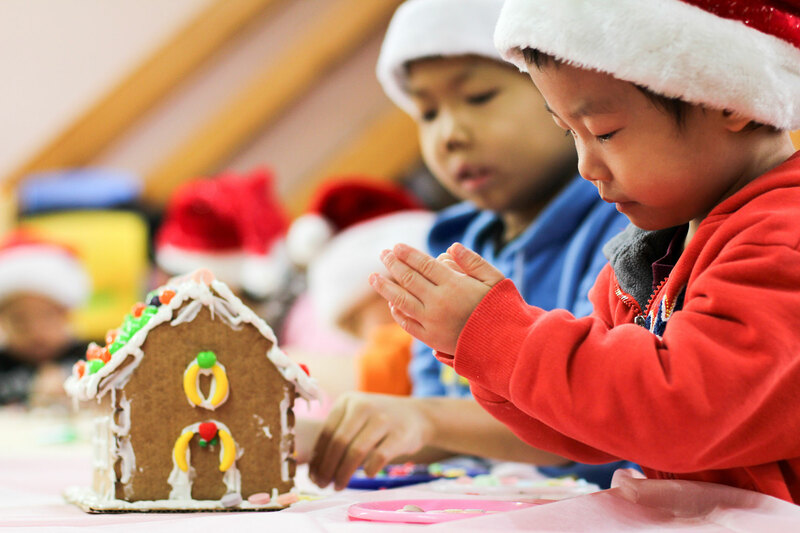 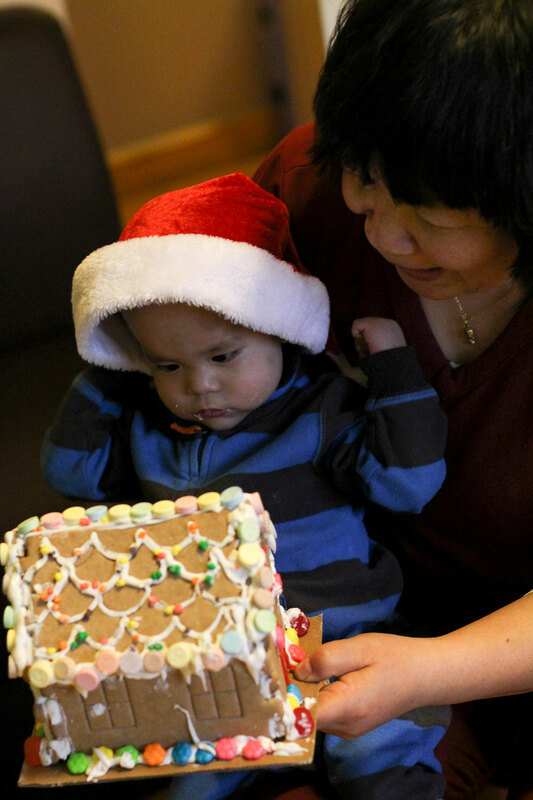 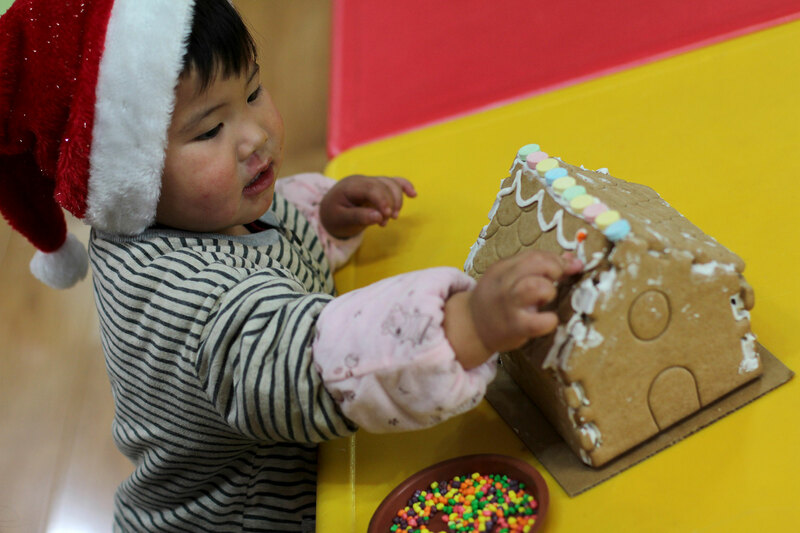 Decorating gingerbread houses is always a fun holiday activity, and it is no different here! 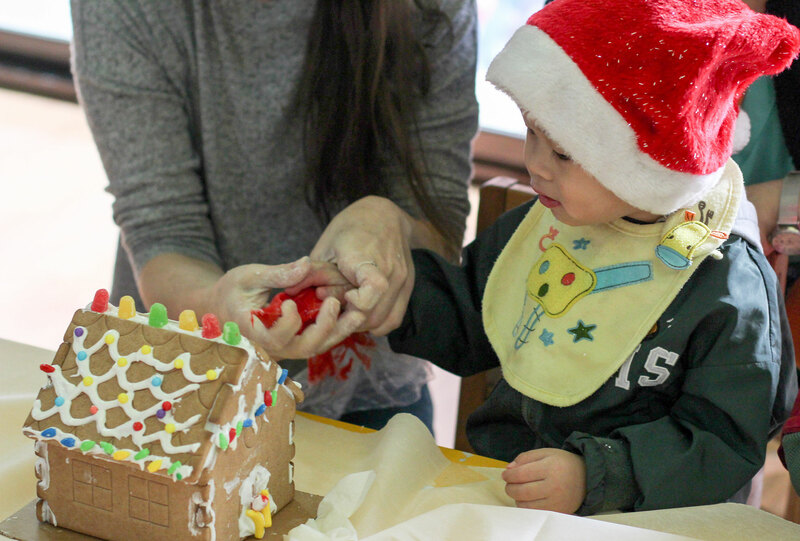 All of the kids were able to help decorate one of our houses. 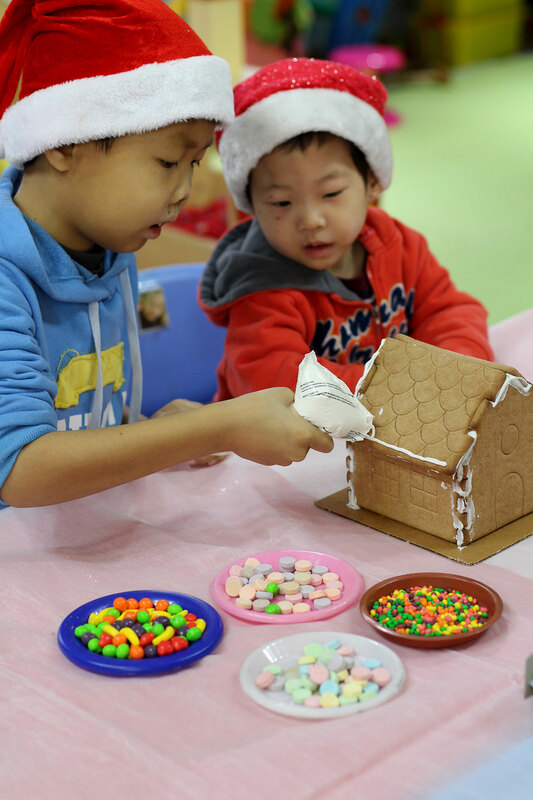 The big kids did a great job carefully placing the candy on the houses and the little kids may have put more candy in their mouths than on the houses! 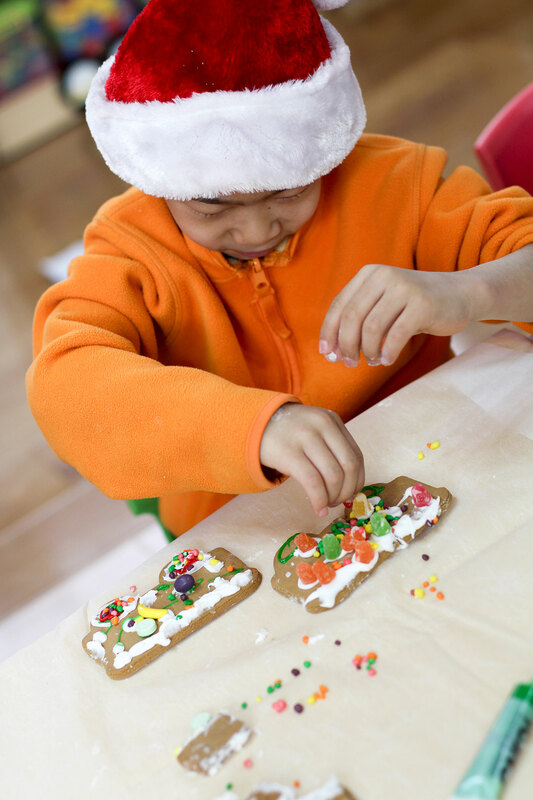 Everyone had so much fun and they the finished products are beautiful!